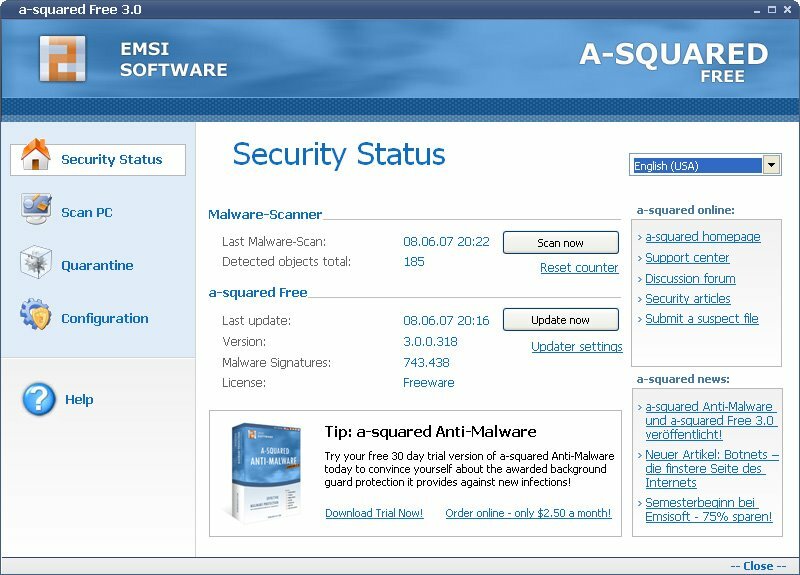 a-squared (a²) is a complementary product to antivirus software which is specialized in protection against harmful software. Antivirus software often features an inadequate protection against Trojans, Dialers and Spyware. a² fills this gap.